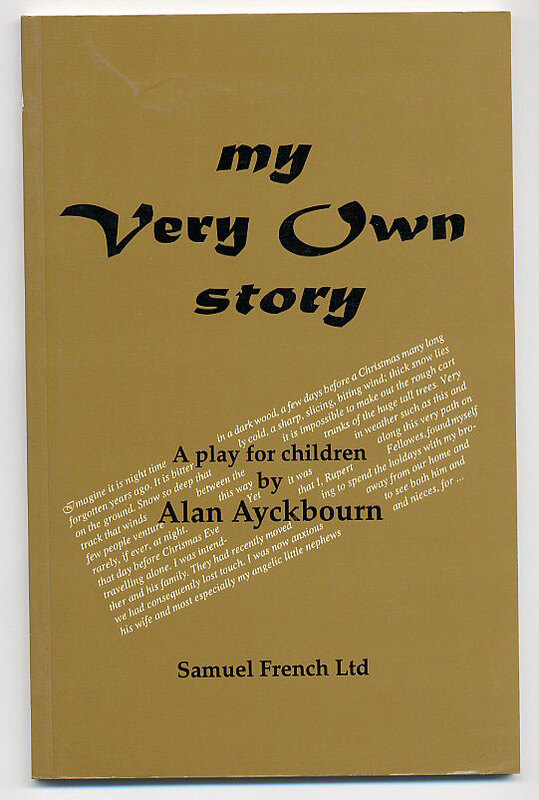 Published by Samuel French Ltd., 52 Fitzroy Street, London 1995. London 1995. Publisher's original glossy card wrap covers. 8vo. 8½'' x 5½''. ISBN 0573051054. Contains 66 [vi] printed pages of text. Without any ownership markings, unused and in near Fine condition, no dust wrapper as published. Member of the P.B.F.A. 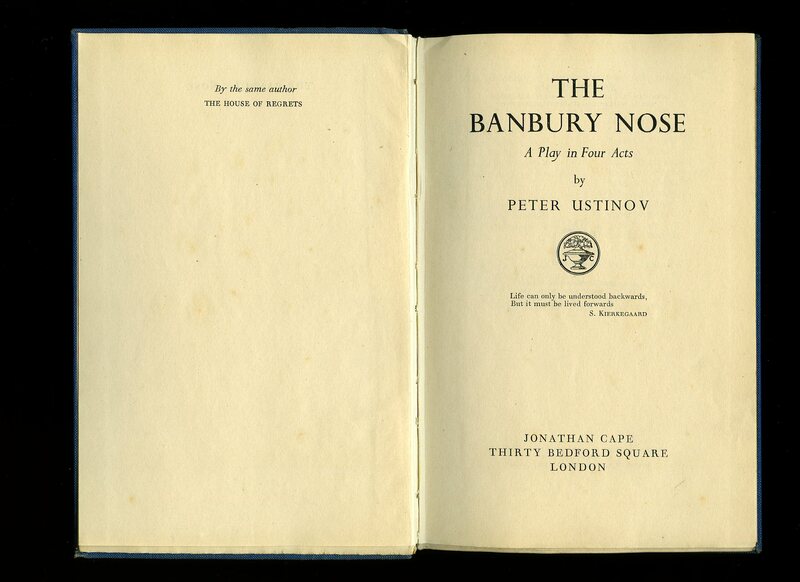 Published by Duckworth 3 Henrietta Street, London First edition 1929. 1929. First edition hard back publisher's original green cloth covers, gilt stamping to spine. Thick 8vo 8¾'' x 6'' 1150 printed pages of text. Light foxing to end papers, spine slightly faded. In Very Good condition, no dust wrapper. Member of the P.B.F.A. Published by William Heinemann Limited, London First Edition 1936. 1936. First edition hard back. 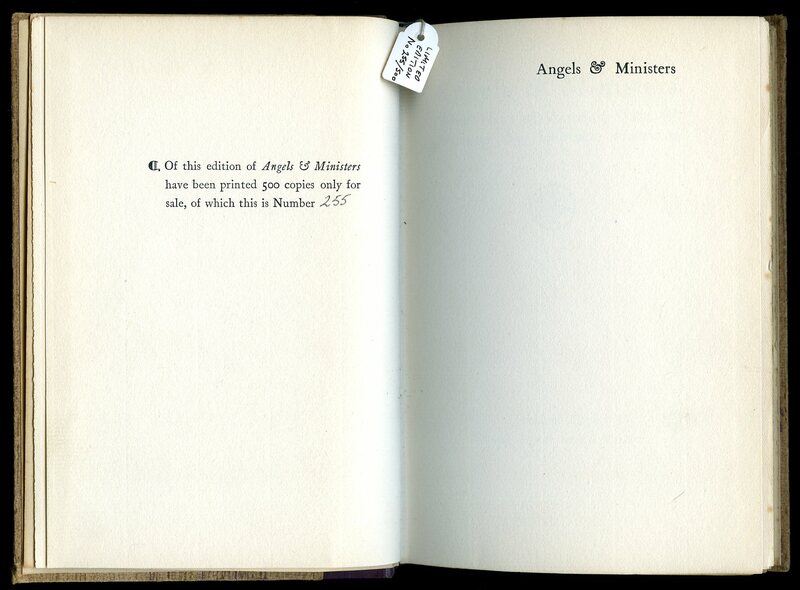 Name to front end paper, label removed from foot of upper panel, spine tanned. Member of the P.B.F.A. Published by J. M. Dent & Sons Ltd. Aldine House, Bedford Street, London First edition 1977. 1977. First edition hard back. Fore and lower edges untrimmed. Name to front end paper. In Very Good condition. Member of the P.B.F.A. 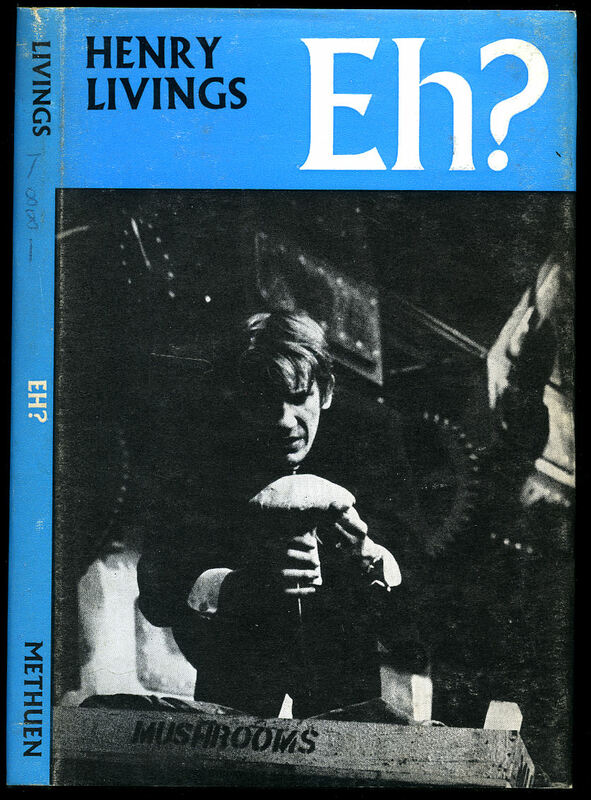 Published by Methuen & Co. Ltd., 36 Essex Street, Strand, London 1965. 1965. Publisher's original blue and white card wrap covers [soft back] with monochrome stage photograph to the front cover, still photograph of the author to the rear cover. 8vo. 7¼'' x 5''. 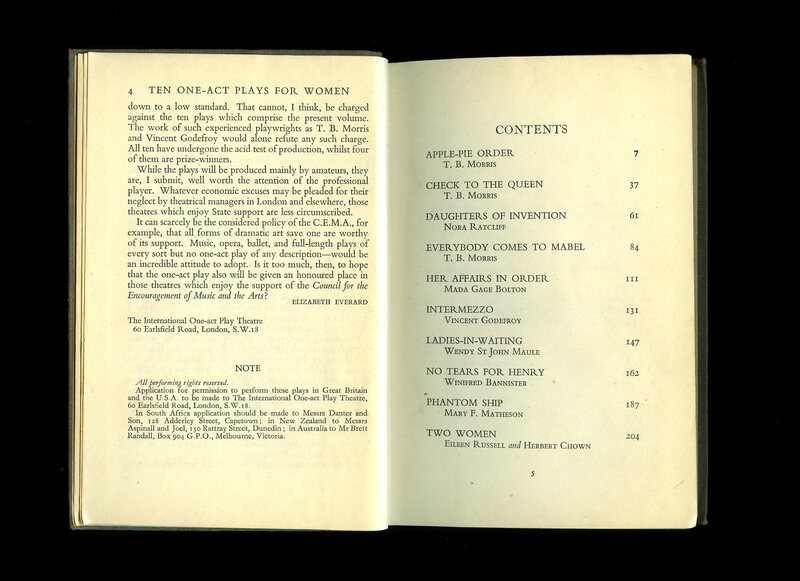 Contains 116 printed pages of text. 'File Copy' stamp in red to the front free end paper and in Very Good condition, no dust wrapper as issued. 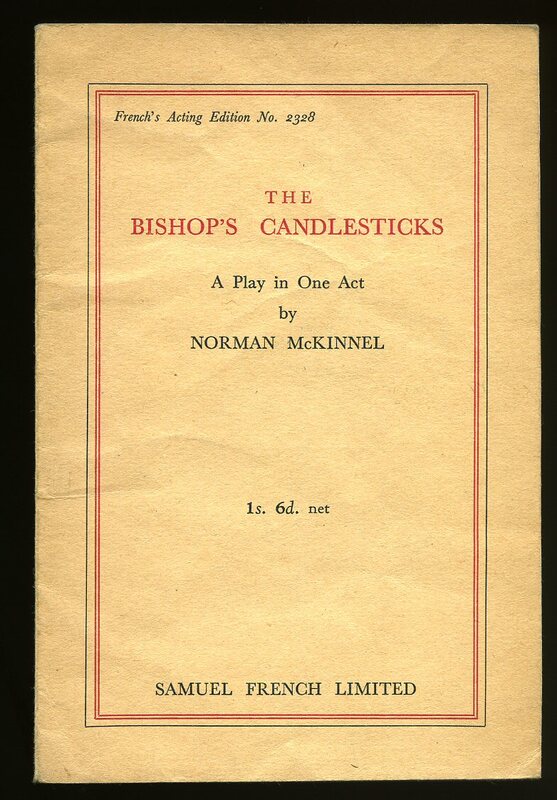 We currently hold in stock over 25 other titles from the Methuen Modern Plays Series. Member of the P.B.F.A. Ustinov, Peter [Sir Peter Alexander Ustinov, CBE (16 April 1921 - 28 March 2004) was an English actor, writer and dramatist]. Published by Jonathan Cape 30 Bedford Square, London First Edition 1945. 1945. First edition hard back. 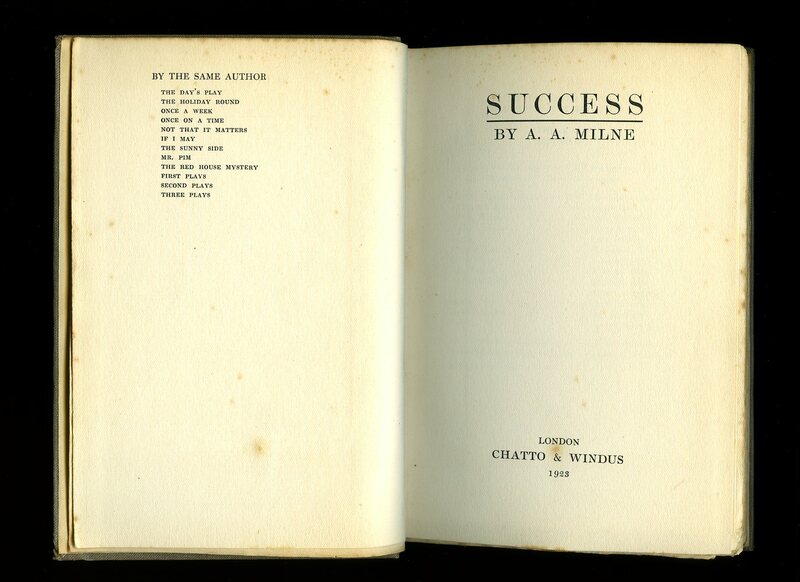 His second published work. In Near Fine condition, no dust wrapper. Member of the P.B.F.A. Published by Home and Van Thal Limited, London First edition 1946. 1946. 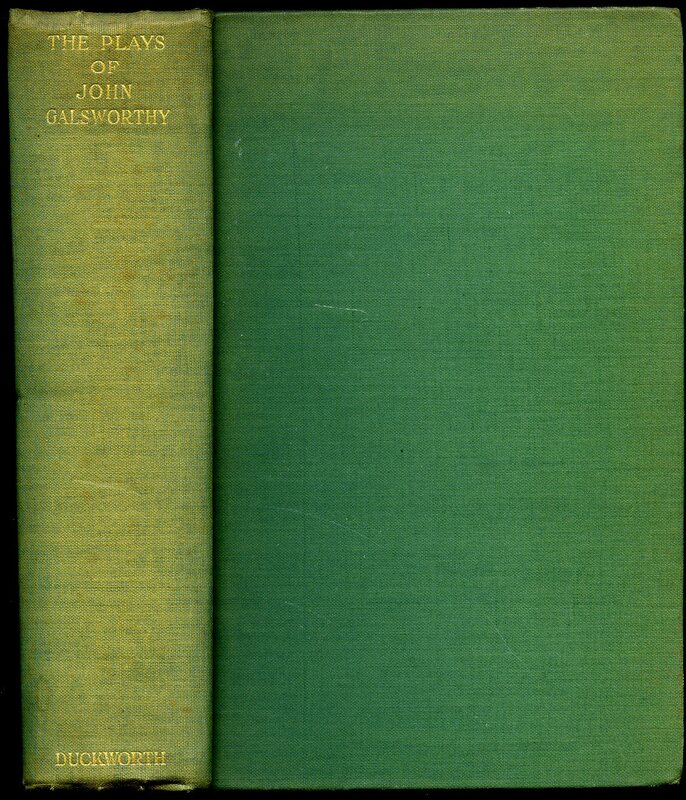 First edition hard back green cloth covers, gilt titles. 86 pp. Spine faded, name to front end paper. Very Good condition, no dust wrapper. Member of the P.B.F.A. Published by George G. Harrap 1946 reprinted edition 1946. Spine sunned o/w Very Good condition. Member of the P.B.F.A. Published by Constable and Company, London 1913 edition. 1913. Paper wraps, small chips to spine ends. Member of the P.B.F.A. 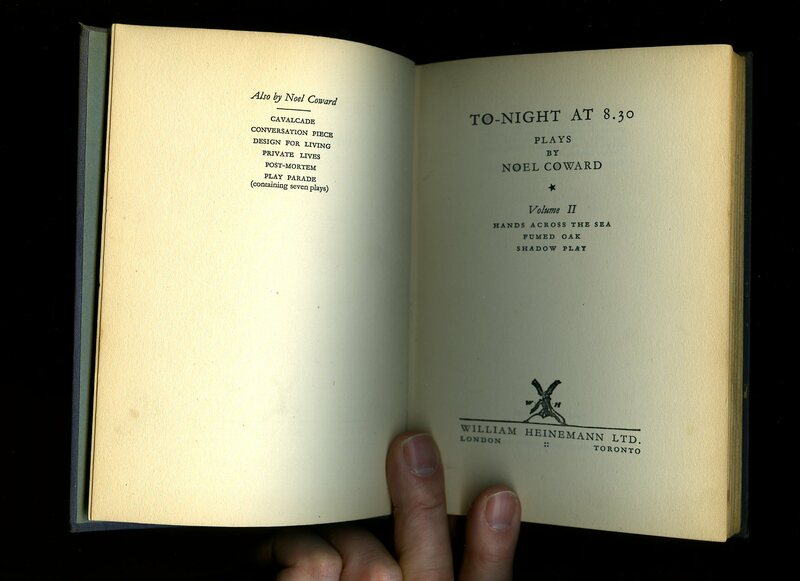 Published by Jonathan Cape 30 Bedford Square, London First Edition 1921. 1921. First edition hard back maroon cloth spine, patterned brown paper boards, fore and lower edges untrimmed, paper title label to spine. 8vo 7" x 5" 86 pp. Limited edition No 255 of 500 copies. In Very Good condition with small rub to upper panel, without any foxing. Member of the P.B.F.A. Published by Samuel French Limited, London. Paper wraps. In Very Good condition and without any annotations. Member of the P.B.F.A. 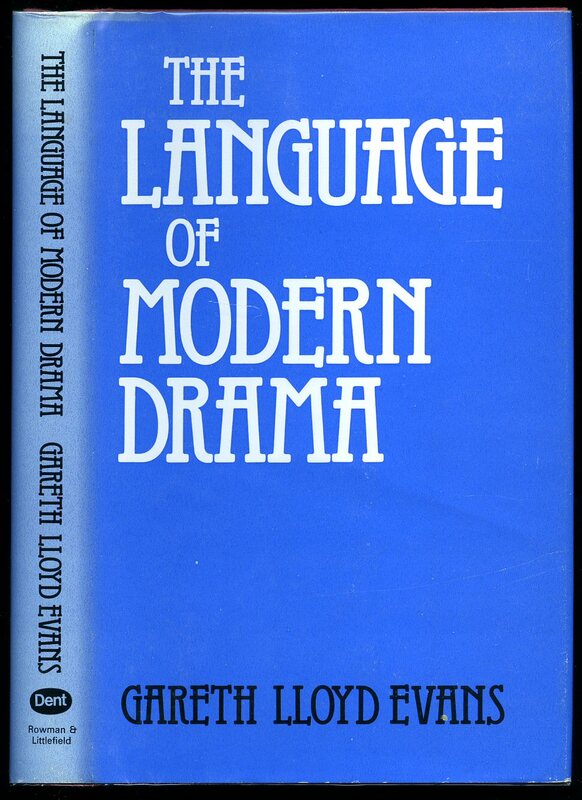 Published by William Heinemann Limited, London First Edition 1973. 1973. First edition hard back. 64 pp. Drawings and photographs from private collection of Kahlil Gibran. Book in Fine condition. 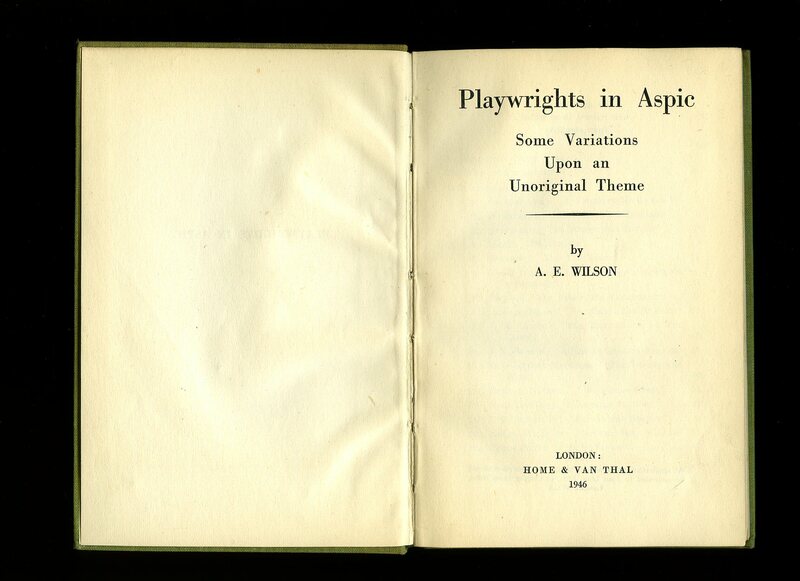 Dust wrapper with slight fading of background colour to spine, price clipped and in Very Good+ condition. Member of the P.B.F.A. 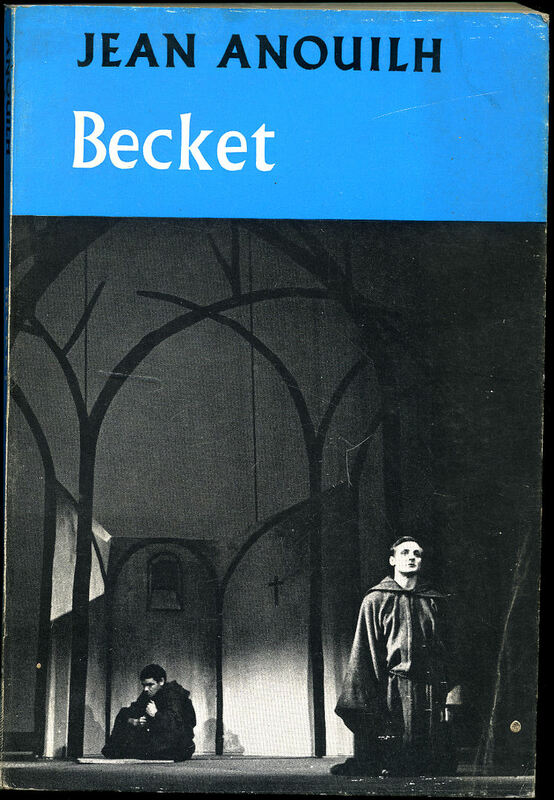 Published by Methuen & Co. Ltd., 36 Essex Street, Strand, London First Thus Edition 1965. 1965. 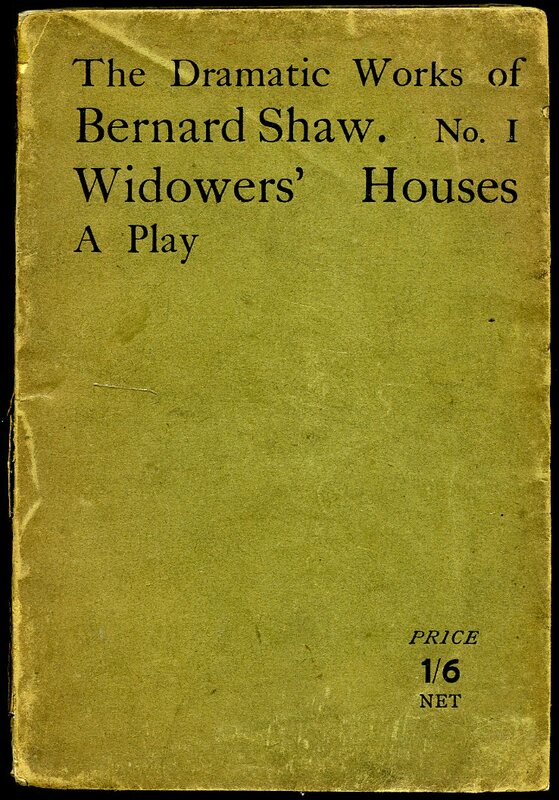 First thus edition in publisher's original blue and white card wrap covers [soft back] with monochrome stage photograph to the front cover, still photograph of the author to the rear cover. 8vo. 7¼'' x 5''. Contains 92 printed pages of text. 'File Copy' stamp in red inside the front cover, surface tear to the bottom corner of the front cover and in Good condition, no dust wrapper as issued. 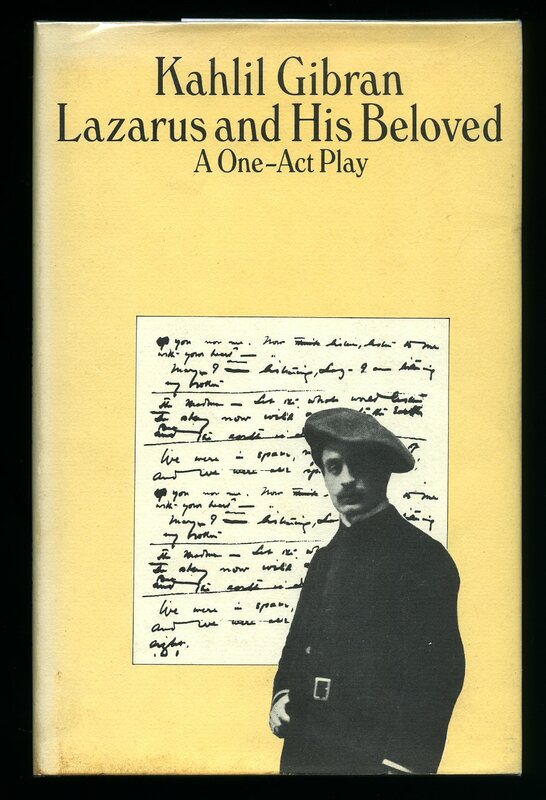 We currently hold in stock over 25 other titles from the Methuen Modern Plays Series. Member of the P.B.F.A. Mayakovsky, Vladimir (Alexander Ushakov, Victor Chistyakov Translators) Vladimir Vladimirovich Mayakovsky (19 July [O.S. 7 July] 1893 - 14 April 1930) was a Russian Soviet poet, playwright, artist, and actor. 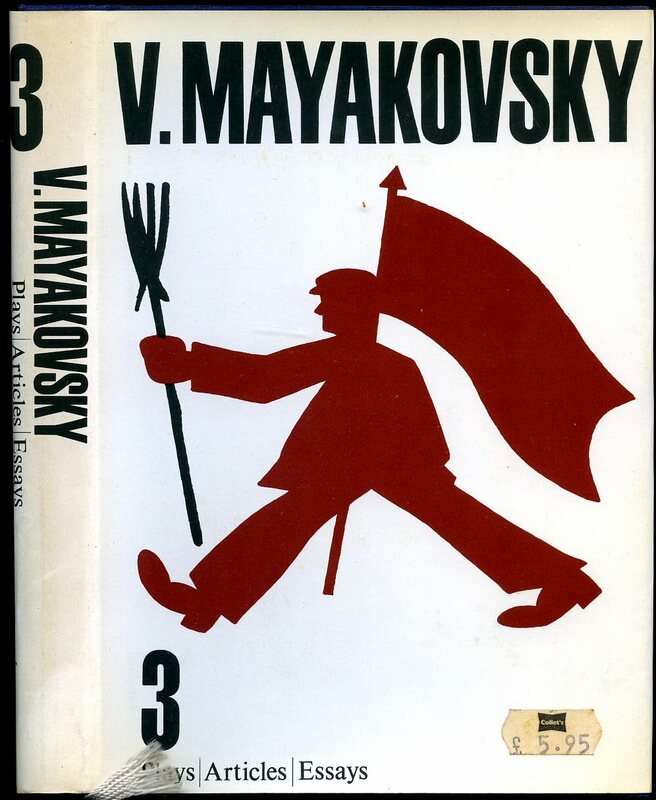 Published by Raduga Publishers, 21 Zubovsky Boulevard, Moscow, Russia First UK Edition 1987. 1987.